A 28-year-old Marine Corps veteran of the Afghanistan war walked into a country music dance club in Thousand Oaks, California on Wednesday night and opened fire with a handgun, killing 12 people and wounding 25. The attacker, Ian David Long, who lived with his mother in the Newbury Park section of Thousand Oaks, some six miles away, then apparently turned the weapon on himself. 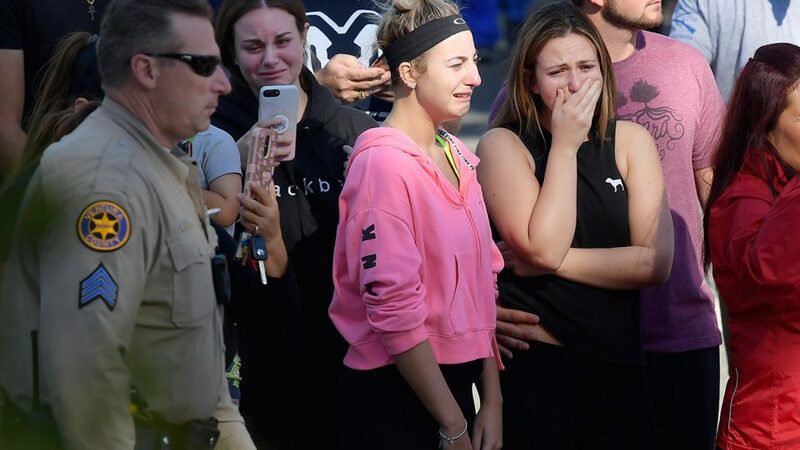 The incident is the deadliest in the US since the shooting at Marjory Stoneman Douglas High School in Parkland, Florida in mid-February, in which 17 people were killed and 14 wounded, a tragedy that sparked mass outrage and protest. Hundreds of college students and others were on hand late Wednesday at the Borderline Bar & Grill, some 40 miles west of downtown Los Angeles, when the gunman entered. The club, located near both California Lutheran University and Pepperdine University, has a College Country Night on Wednesdays, permitting those under the drinking age to enter, with a black X marked on their hands. By all accounts, Long, armed with a Glock 21, whose magazine had been illegally extended so it could hold more than the standard 10 rounds, carried out his attack with precision and determination. Ventura County Sheriff Geoff Dean commented, “It’s a horrific scene in there … There’s blood everywhere.” He described the shooting as “by far, the most horrific thing I’ve seen in my 41 years.” One of the victims was a local police officer. Long served in the Marines from 2008 to 2013 (i.e., when he was approximately 18 to 23 years old) as a machine gunner. He was deployed to Afghanistan from November 2010 to June 2011. During his time in the Marines, Long was awarded a Combat Action Ribbon, the Afghanistan Campaign Medal and the Global War on Terrorism Service Medal. Operation Moshtarak, also known as the Battle of Marjah, involved some 15,000 US, Afghan, Canadian, British, Danish and Estonian troops. The aim was to drive Taliban forces out of Marjah. The latter withdrew from Marjah before the large number of foreign occupiers, but by 2016 the Taliban was back in control of the area. Long was later deployed to Okinawa, where he served as a Jungle Warfare Training Center instructor. He left the Marines as a corporal. Officials suggested that Long was likely suffering from post-traumatic stress disorder. Neighbors told the media that the young man was struggling mentally and emotionally. USA Today reported that Long’s “various interactions with police over the years pointed to a man who needed professional help. None came. Neighbor Richard Berge said everyone on the block was aware when the police came to the Long home earlier this year after an incident. “Although Berge had never been inside the Long house, he said a neighbor had reported seeing walls that were ‘full of holes,’ adding that the neighbor got the impression that Long had kicked the walls in. ‘She [Long’s mother, Colleen] was worried because he wouldn’t get help,’ Berge said. ‘I asked her, ‘Can’t he just get help.’ She said, ‘He can’t get help.’” Berge further asserted that Long’s mother “lived in fear,” not for herself, but for her son and for others. 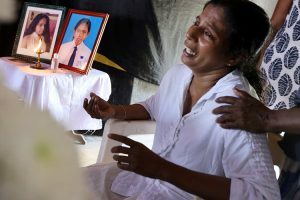 The connection between the eruption of US militarism in every corner of the globe and the epidemic of anti-social violence and mayhem at home could hardly be clearer. American imperialism recruits young men and women, often “economic conscripts,” to do its dirty work in the Middle East, Central Asia, Africa and elsewhere, forcing them to commit horrendous crimes and undergo brutal, psyche-destroying experiences. When the Pentagon has done with them, it releases them to their families and into the general public. In too many cases, these veterans are walking time-bombs. The list of mass killers with military backgrounds, according to Gusterson, included George Jo Hennard, who killed 22 in Killeen, Texas in 1991 (US Navy); Michael McDermott, who shot seven people in Wakefield, Massachusetts, in 2000 (also US Navy); Robert Flores, a veteran of the Persian Gulf war, who shot his three nursing professors in Tucson, Arizona, in 2002; Major Nidal Malik Hasan, the US Army psychiatrist who killed 13 at Fort Hood, Texas in 2009; Wade Michael Page, the white supremacist who killed six at a Sikh temple in Wisconsin, had served six years in the US Army; in 2012, Radcliffe Haughton, an ex-Marine, killed three women, including his wife, at a spa in Wisconsin; in 2013, Aaron Alexis, another Navy veteran, killed 12 at the Washington Navy Yard; in 2014, Ivan Lopez-Lopez, an Iraq War veteran, killed three at Fort Hood in Texas; and Timothy McVeigh, whose truck bomb killed 168 in Oklahoma City in 1995, was a Persian Gulf War veteran. We could add the name of Washington, DC sniper John Allen Muhammad, another Gulf War veteran, who, along with an accomplice, killed 10 people in the so-called “Beltway sniper attacks” in October 2002. More recently, Scott Paul Beierle, who posted racist and sexist videos online and murdered two women at a yoga studio in Tallahassee, Florida earlier this month, had been in the US Army from 2008 to 2010. The killer in the Parkland, Florida shooting, Nikolas Cruz, was a member of the Junior Reserve Officers’ Training Corps (JROTC). The list goes on and on. More generally, the spree of mass killings has its deeper roots in the toxic soil of American capitalism. Gun Violence Archive estimates that the 307 shootings involving four or more victims this year alone have claimed 1,328 lives and injured another 1,251. The website calculates that there have been 49,000 gun violence incidents so far in 2018 in the US, leading to more than 12,000 deaths. Some 45,000 Americans took their own lives in 2016, while drug overdoses killed more than 72,000 in the US in 2017. No remotely healthy society could generate such appalling statistics. America, as we have previously noted, is a nation at war with itself. A quarter century or more of increasingly unrestrained imperialist violence, exercised in many cases against largely defenseless peoples. America’s rulers talk and act like killers, and not only in regard to Iraqis, Afghans, Libyans and Mexican and Central American migrants. The poor and working class in America, when they resist, will also feel the full force of state savagery. Vast and malignant social inequality, which creates at one pole of society a Mount Olympus of oligarch-gods with almost unlimited economic and political power, and, at the other, a mass of people who count for nothing and who are made to feel on a daily basis that they count for nothing. The filthy, corrupt, widely despised political system, to which none of the tens of millions suffering or in need can look for any assistance or relief, or regard with hope. The recent election campaign brought home the reality that both major political parties are the dedicated and declared enemies of the working class and oppressed. It cannot be an accident that the November 6 election has now been bookended, so to speak, by the massacre of 11 people at a synagogue in Pittsburgh by a fascist anti-Semite less than two weeks before Election Day and the mass killing in Thousand Oaks, carried out by a former Marine, two days after it. The general brutalization and debasement of American society, including popular culture and the media. Nowhere on earth is life cheaper than in American films, television and popular music. Over the period of the “war on terror,” a good many film and television writers and directors have turned their attention to glorifying homicidal killers, in or out of uniform, torture and other barbarisms. The sickness of American society is reaching a terminal state. Only social revolution can cure the disease.